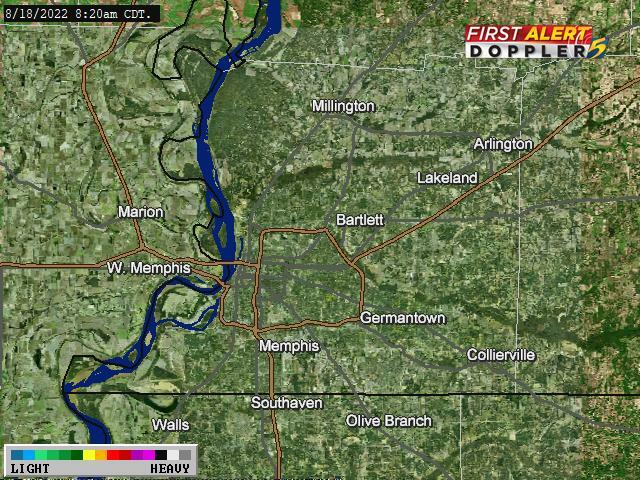 Showers move through the Mid-South this evening will be ending shortly after midnight. We’ll have sunshine to end the week followed by another system that could bring rain before the weekend is over. THIS WEEK: Showers will continue to move east through the night followed by dry air and a clearing sky early tomorrow as high pressure settles in over the area. Temperatures will be a few degrees below average during the day and a clear and cold night will be in place Thursday night. Friday will be mostly sunny and warmer with afternoon highs in the mid to upper 60s and overnight lows in the lower 40s. THE WEEKEND: Saturday will be partly cloudy and warm with highs in the upper 60s and lows near 50. Clouds will increase Sunday and new data is showing an increase in rain chances as the day progresses. High temperatures will be in the mid 60s with lows in the mid 50s. NEXT WEEK: Monday will be cloudy with showers along with highs in the mid to upper 60s and lows in the mid 40s. Tuesday will be mostly cloudy and cooler with high temperatures in the lower 50s and overnight lows in the mid 30s. Wednesday will be mostly sunny and cool with afternoon highs in the upper 50s. A FLASH FLOOD WATCH goes into effect for much of the Mid-South at 1 AM and will remain through Thursday evening a low pressure system brings heavy rain to the area.